What does it take for an individual to set a world record in any sport? Training, focus, tenacity, and dedication? A supportive team? Now multiply that times one hundred. That is exactly what high school student Evan Pittman set out to do in late 2014 – to break 100 world powerlifting records. But what was unusual about Evan is his age; while several competitive masters powerlifters had broken more than 100 world records over decades of powerlifting competition, Evan wanted to become the only powerlifter in history to set 100 world records while still in high school. Two years after setting his sights on the 100 world record goal, Evan achieved it in grand style — setting 11 WNPF world records at the 2016 WNPF World Powerlifting Championships in New Jersey, and winning both the 17-19 teen age group and the men’s open raw category, as well as three individual deadlift categories. Six months later, as a high school senior, he became the only competitive powerlifter in history to break national and world records in nine different weight classes (77 lbs., 88 lbs., 97 lbs., 105 lbs., 114 lbs., 123 lbs., 132 lbs., 148 lbs., and 165 lbs. ), breaking five Elite Powerlifting Federation national records at the 2017 EPF nationals in Rhode Island, and later setting Amateur Athletic Union world records at the 2017 AAU Junior Olympic Games in Detroit. Evan began doing the power lifts – the squat, bench press and deadlift – to become stronger and more explosive for taekwondo competition at age 10. Weighing just 75 lbs., he set an AAU national and world bench press record in his very first competition, the 2009 Junior Olympic Games in Des Moines, Iowa. At age 13, Evan changed his sports focus from competitive taekwondo to springboard diving, but he continued his speed and strength training, and continued to break records in nearly every powerlifting competition he entered. 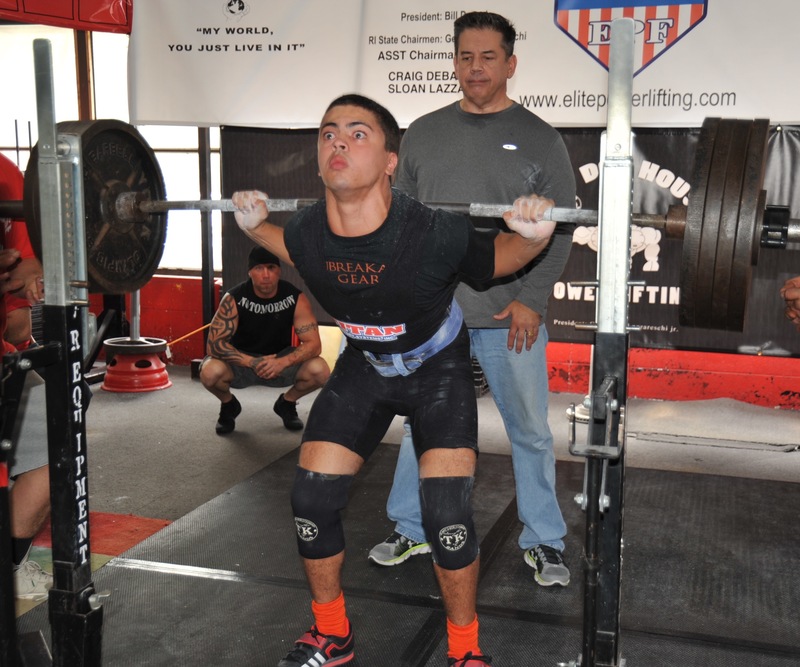 Over the years, Evan has competed without special equipment (known as raw competition), but he has also entered in divisions that allow equipment like squat suits, deadlift suits and bench shirts, to set more records. Several times he has entered multiple raw and equipped divisions in a single meet, while lifting without equipment. To date, Evan has set 111 world records in nine weight classes in eight years of competitive powerlifting, and he is the only powerlifter to break national records in nine different weight classes. Some of his youth records have been broken by other lifters, but many still stand. He no longer tracks state or national records set in competition. Evan has also set more than two dozen world and national records in the AAU strongman-style competition known as Feats of Strength and in All-Sports Combine competition. Evan is a full-time student studying business at Brown University in Providence, Rhode Island. He was recruited as a Division I Ivy League springboard diver in 2017, but left diving after the Brown Men’s Swimming and Diving team was suspended in 2018.